Bring your piano music to life with this application. 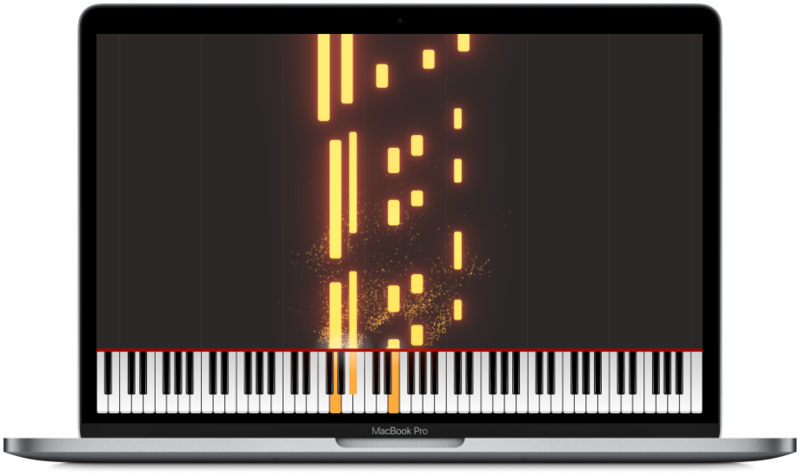 Piano Visualizer is an easy to use software to record and play MIDI-Files with an digital piano. Plug in your digital piano, customize the settings and start recording. You can replay your recordings with the application and of course these recordings will be visualized with beautiful effects and colors according to your choice. Watch the video below to get an impression of what the application looks like! With Piano Visualizer you can produce videos like the one from Rousseau and Patrik Pietschmann on a very easy way. The app will be updated regulary, with new features and improvements. You will get the updates automatically over the Mac App Store. If you have any suggestions or problems do not hesitate to contact me. I have also planned to release a version of this application for Windows 10. Stay tuned. Compare the system requirements below with your system setup. An easy to use software to record and create MIDI-Files with an digital piano.